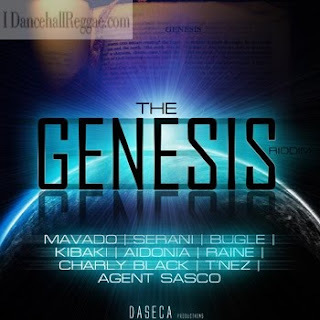 Caribbean Lifestyle Media-We recently published information about Daseca's latest Riddim-The Genesis. We applauded this approach to releasing a new Riddim-this was in response to the influx of quantity and lack of quality of new riddims. Reggae Icon David Rod had something to say about the approach Daseca is taking-This is David Rodigan and I am delighted to have read your press release regarding a "new beginning." This is a heartfelt cry from me and thousands of other "reggae" fans in Europe who have become utterly disillusioned by the state of the Jamaican music industry and the lack of thought behind its promotion. I am delighted that you have seen fit to return to the ethics of traditional music promotion, whereby only certain dee jays and radio stations are able to preview your productions, and in doing so are able to create a demand for a new song. I am happy to know that from now on you will be professionally selective in choosing who has your new productions. You are a young, imaginative and creative production house in Jamaica and the music desperately needs young people with new ideas. Reggae music must rise up again and that means positivity and a return to melody and harmony. Much of what is now being produced in Jamaica does not export outside Norman Manley Airport."